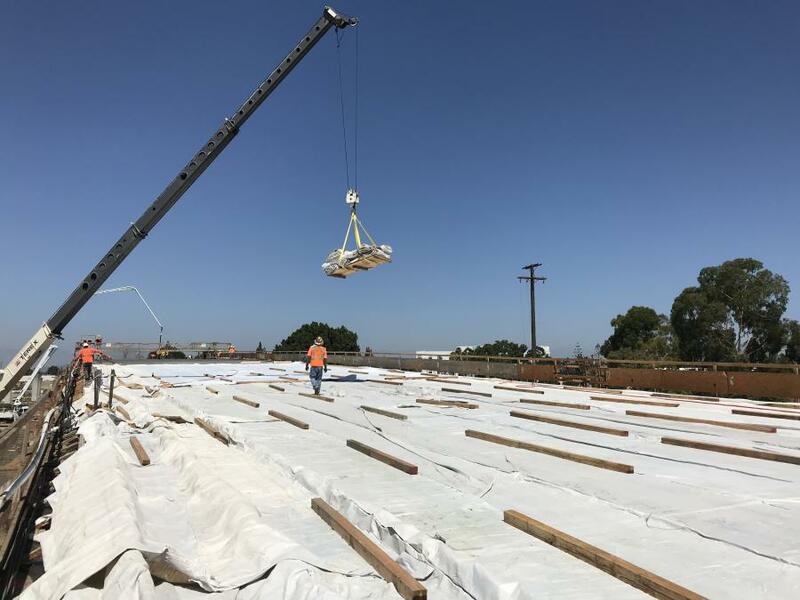 A $631M project is considered as a big step toward reducing traffic on Interstate 5 in southern Los Angeles and northern Orange counties. Known as the Valley View Avenue Interchange Project, work is centered in La Mirada and spans 1.5 mi. of I-5. It is part of major I-5 improvements in Los Angeles and Orange counties. Once completed, I-5 will have five regular freeway lanes and one HOV (high occupancy vehicle) lane in each direction at the location. Seven new bridges will be built as part of the project. In addition, Valley View Avenue will be widened from four to six lanes. Start date for the project was November 2016. Work is scheduled to finish in early 2021. Funding for the project is from a combination of state, federal and MTA funds. The improvement projects are divided into I-5 North and I-5 South Corridor construction projects. The Valley View Interchange Project is the last of six segments to begin construction as part of $1.9 billion in I-5 South Corridor Improvement Projects. The 6.7-mi. South Corridor projects are designed to improve corridor mobility and provide congestion relief and improved safety for the section's 22,000 daily riders. Safety, better mobility and a need for an upgrade are primary reasons for the project. 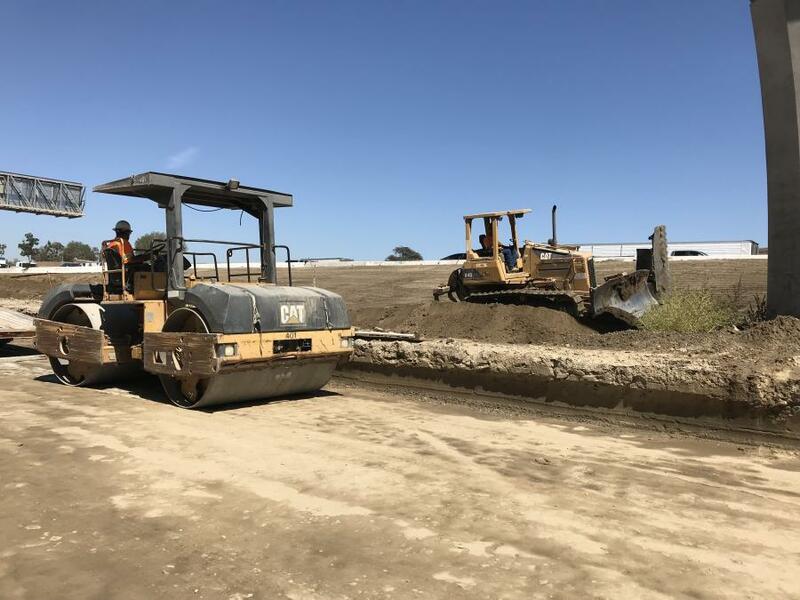 "One of the two new lanes in each direction will also be a car pool (HOV) lane, providing drivers the opportunity to commute with multiple passengers to relieve congestion and pollution, said Marc Bishoff, public information officer of District 7 of Caltrans. 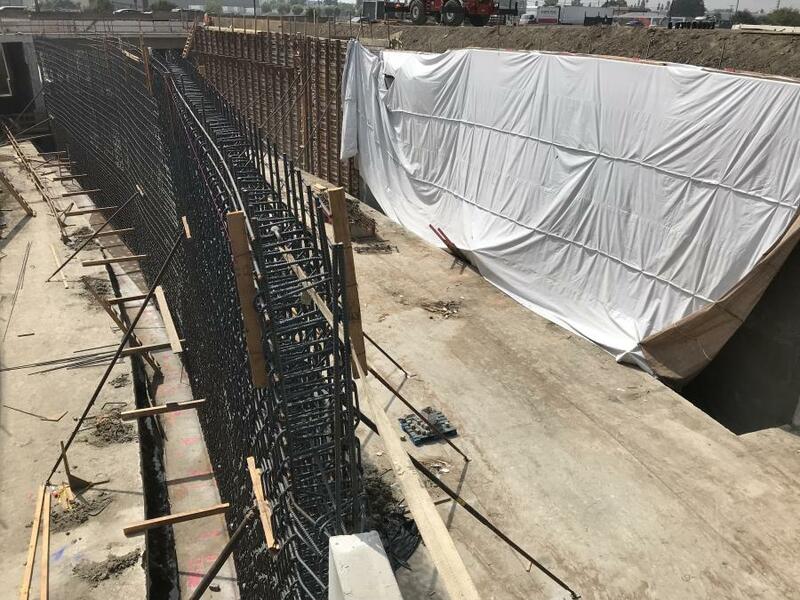 The Valley View Avenue Interchange project extends from the Artesia Boulevard undercrossing to North Fork Coyote Creek through the cities of Buena Park, La Mirada, Cerritos and Santa Fe Springs from the Artesia Boulevard undercrossing to North Fork Coyote Creek. 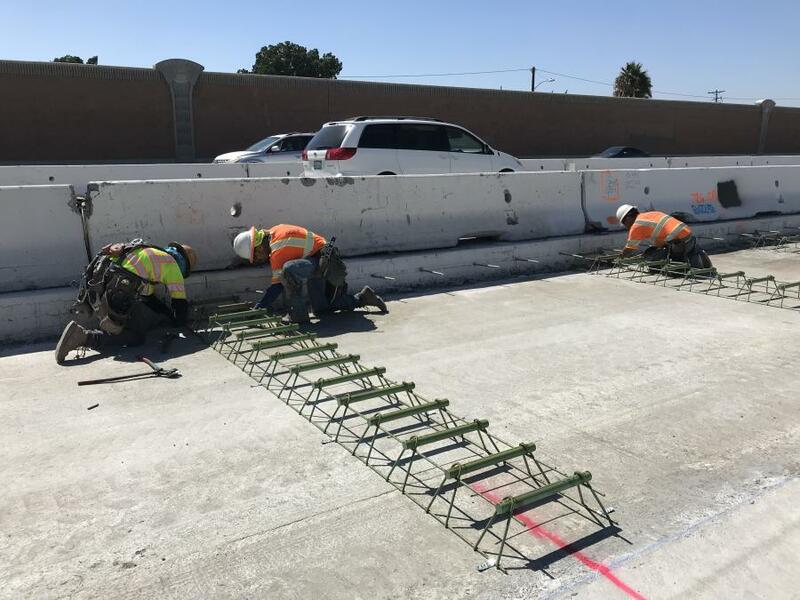 The Santa Ana Freeway Valley View Interchange Project will widen I-5 with a High Occupancy Vehicle (HOV) or carpool lane and one general purpose lane in each direction. 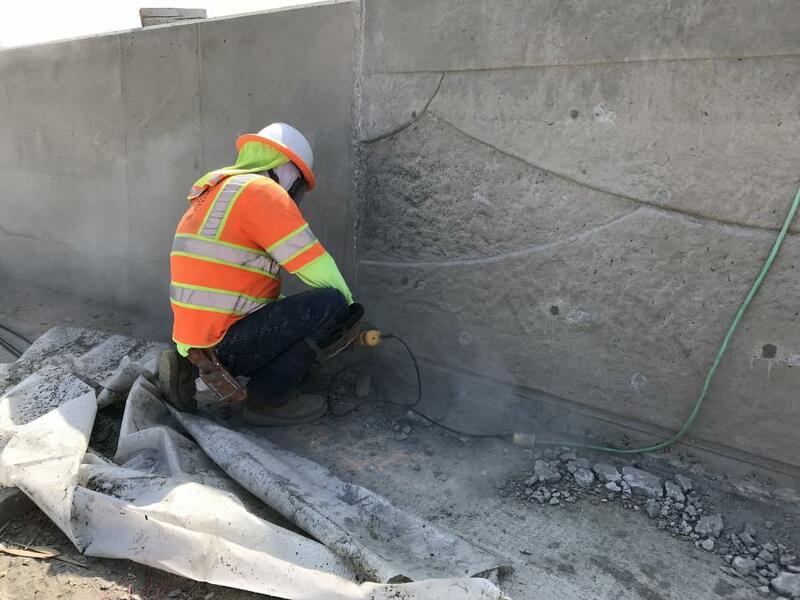 Construction includes reconstruction of adjacent frontage roads, shoulder widening, median barriers, new on- and off-ramp designs, a railroad overpass and reconfiguring the Valley View Avenue interchange at I-5. The project is being built in three stages with separate phases. Stage 1 has four phases. The project is transitioning from Stage 1, Phase 3 to Phase 4. Stage 2 will have three phases and Stage 3 will have two phases. Early work included the car-pool lane connections between I-405 and SR-22 at Valley View Street. 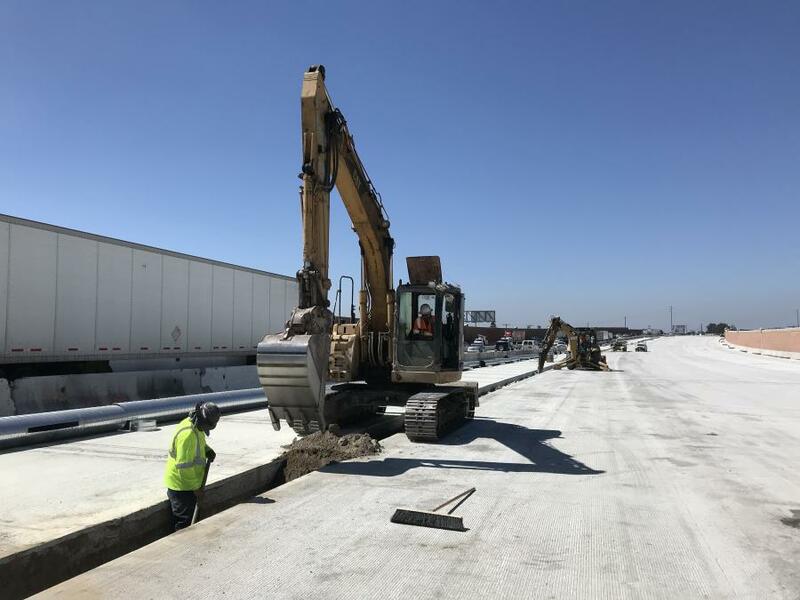 In the second phase of Stage 1 workers constructed direct car-pool lane connections between I-405 and I-605. Construction on the project is about 32 percent complete. Crews should finish the first half of the Valley View Avenue bridge in March 2019. Work should wrap up on the second half in December 2020. During the project, the Valley View Avenue bridge will be reduced from two lanes on each side to one. 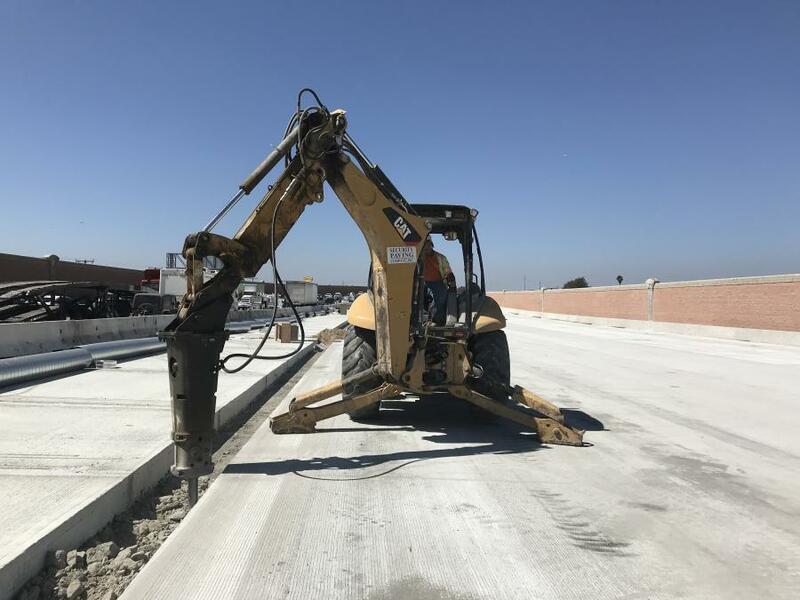 Security Paving Company Inc. of Sylmar, Calif., is prime contractor of the Valley View Interchange project. 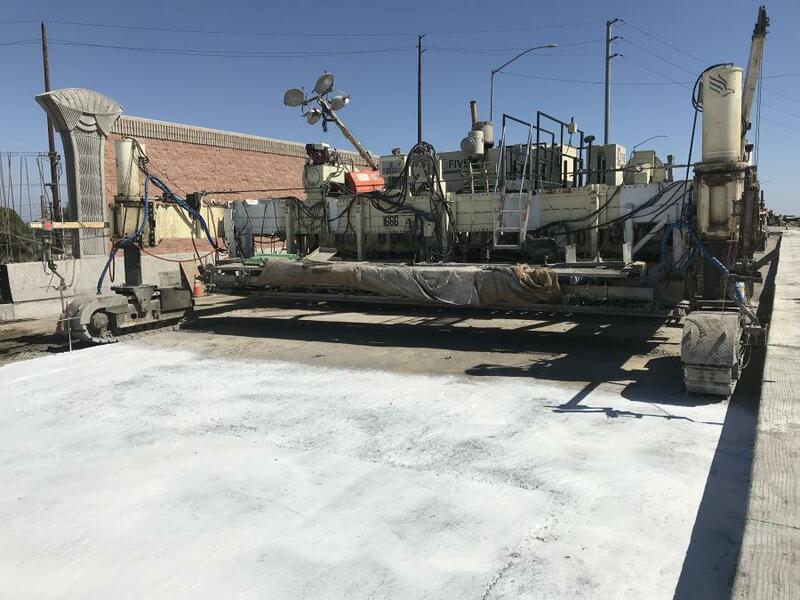 The project has 13 subcontractors including AM Concrete of Sun Valley, Calif.; Integrity Rebar Placers of Perris, Calif.; Malcolm Drilling Co. of Irwindale, Calif.; Tipco Engineering Inc. of Gardena, Calif.; and CGO Construction Co. of Ontario, Calif.
About 45 workers are on the job daily. The project has three different construction sites. 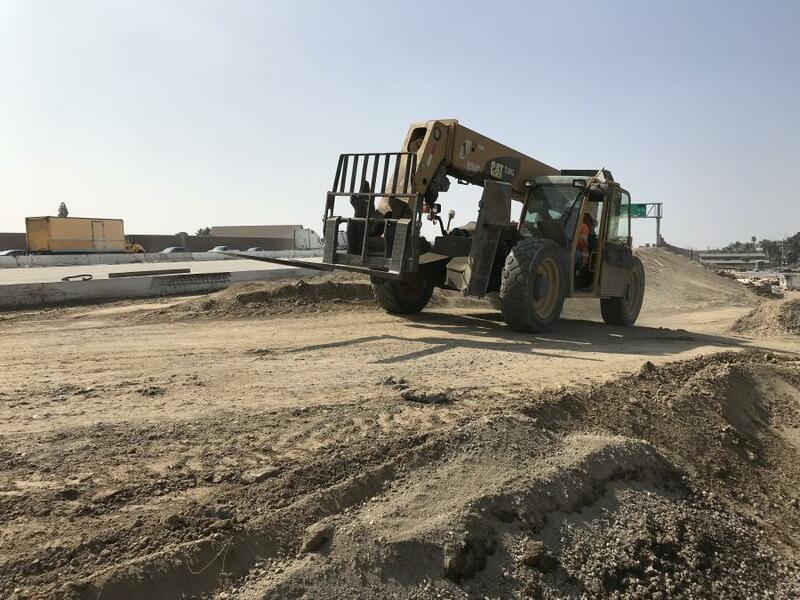 Heavy equipment at the project sites includes cranes, bulldozers, front-loaders, graders, excavators, back-hoe loaders, tracked loaders and dump trucks. The Valley View Avenue Interchange Project will require about 100,000 cu. yds. of concrete and approximately 80,000 tons of asphalt. Some dirt was brought in at the beginning of the project. After that, dirt generated by the reconstruction is reused in various segments of the project. 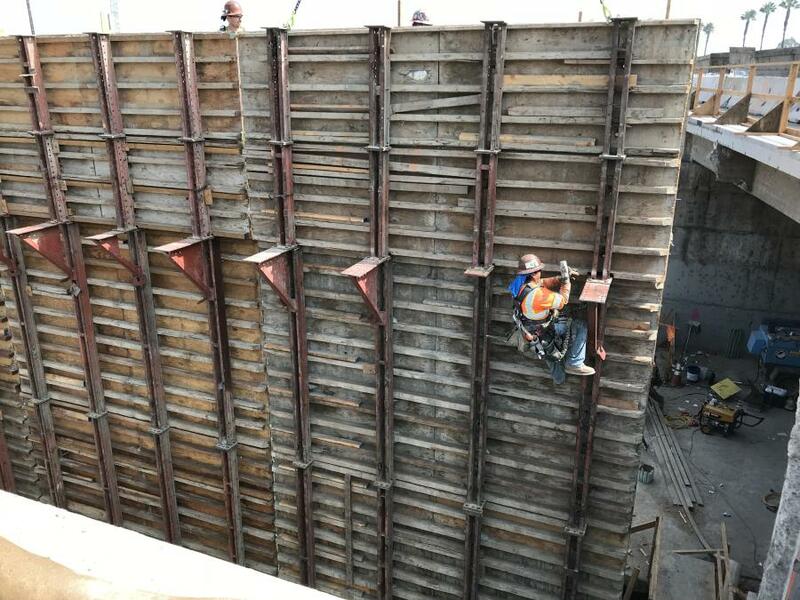 Work includes removal of the lumber forms from the vertical rebar support walls that have been encased in concrete. The forms will then be used to build a horizontal base for a second level of rebar. 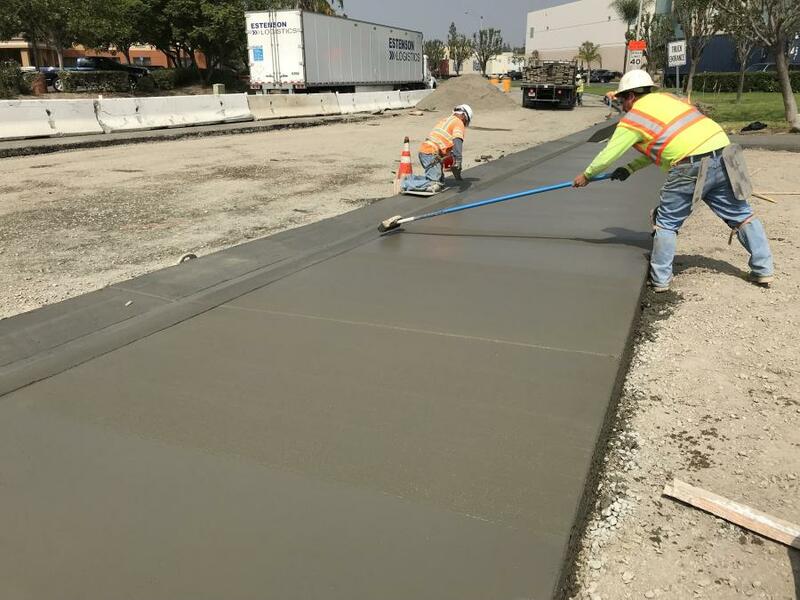 The final layer of concrete has been poured on the surface of the Valley View Avenue bridge over Arbor Place and west of I-5 in Cerritos. The concrete has cured and tarps have been removed. High-strength tendons have been run through the deck of the bridge. Next, tension will be applied to the tendons to "pre-stress" and improve the performance of the concrete for bearing loads. 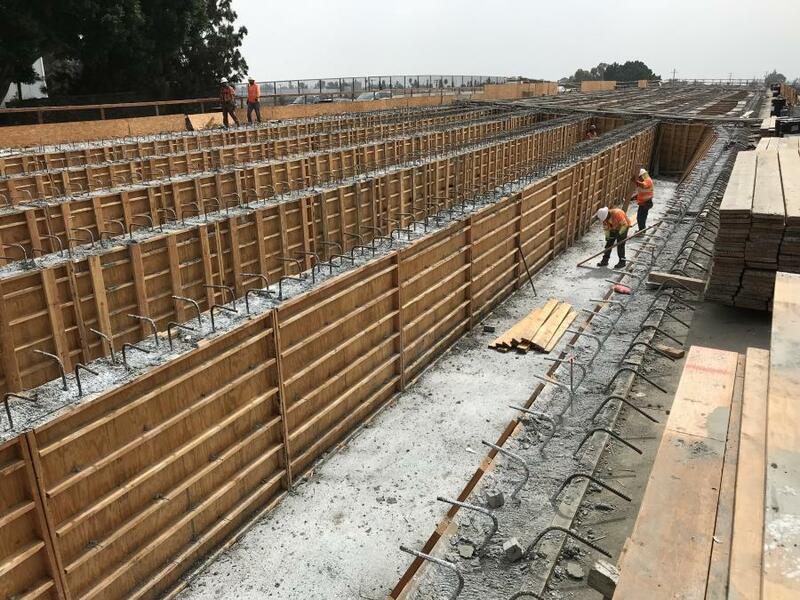 Workers are constructing the pier walls that will support the new bridge over Coyote Creek, east of I-5 near Trojan Way in La Mirada. 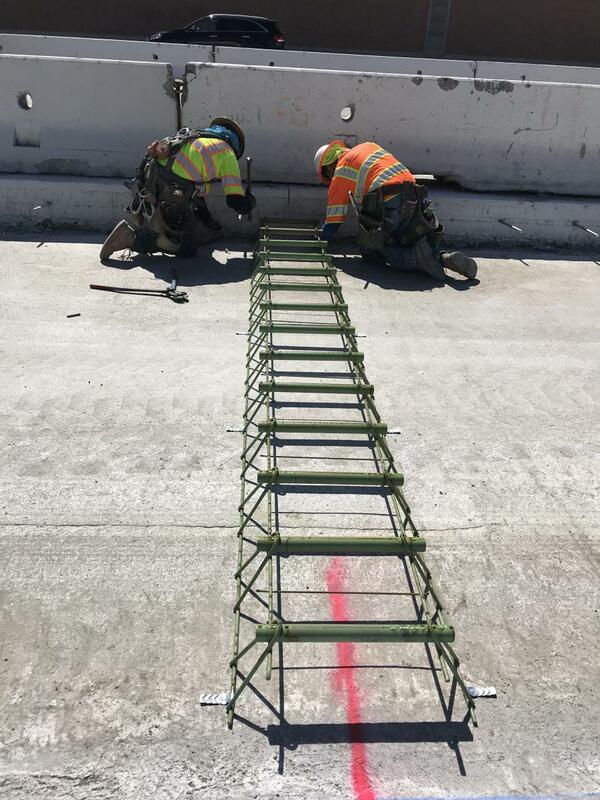 The Coyote Creek Bridge will carry the new lanes of I-5 and N. Firestone Blvd. First, the rebar frames are constructed and then covered with forms. Next, concrete is poured into the forms to encase the rebar in concrete. Finally, the forms are removed and the concrete walls are covered to allow proper curing. I-5 is the main interstate artery across the entire state of California and is utilized by many cargo trucks delivering goods that add to the economic prosperity of the state. "So, upgrading the roadway on which those trucks travel supports the economy," Bishoff said. 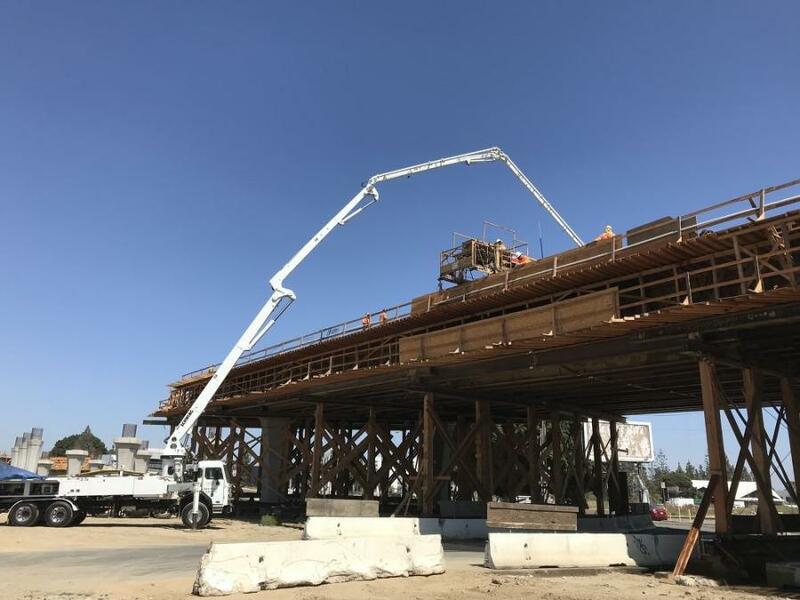 "Adding lanes to the new Valley View Avenue Bridge and building wider and longer on and off ramps will also help relieve congestion and improve traffic flow in the local communities of Santa Fe Springs, Cerritos, La Mirada and Buena Park." Bishoff added that most of the project is in areas that are industrial, commercial and retail. 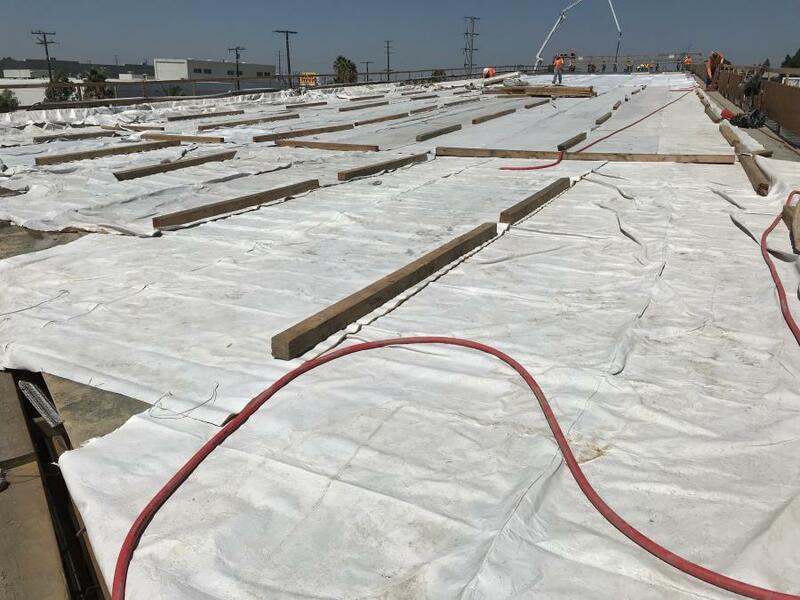 "Businesses include restaurants, hotels, and retail stores that may expect to see increased customer traffic resulting from better traffic flow and easier freeway access," he said. "We have even rebuilt driveways, sidewalks, and curb and gutter for multiple businesses in conjunction with the project."